On November 21, President Obama signed into law the 3% Withholding Repeal and Job Creation Act. The new law does much more than merely repeal withholding on government contractors. The new law enhances the Work Opportunity Tax Credit (WOTC) for veterans of the U.S. Armed Forces, expands the IRS’ continuous levy authority, and more. The Tax Increase Prevention and Reconciliation Act of 2005 (2005 Tax Act) created a new withholding requirement for government agencies. The federal government, and every state and local government, would be required to withhold income tax at the rate of three percent on certain payments to persons providing any property or services. Some payments, such as payments of interest, were exempt. The government withholding requirement was originally scheduled to apply to payments made after December 31, 2010. Congress delayed the effective date to payments made after December 31, 2011. The IRS issued final regulations in 2011, further delaying the effective date to payments made after December 31, 2012. Since passage of the 2005 Tax Act, momentum for the repeal of withholding on government contractors has grown. The Senate approved the 3% Repeal Act unanimously on November 10, and the House voted 422–0 in favor of the bill on November 16. The 3% Repeal Act repeals government withholding as if it had never been enacted. The WOTC provides employers an incentive to hire individuals from various target groups, including veterans, The 3% Repeal Act modifies the WOTC for qualified veterans. The WOTC enhancements for veterans are called the Returning Heroes Tax Credit and the Wounded Warrior Tax Credit. Returning Heroes Tax Credit. The Returning Heroes Tax Credit encourages employers to hire unemployed veterans. Employers hiring short-term unemployed veterans (generally veterans who have been unemployed for at least four weeks but less than six months) may be eligible for a credit of up to $2,400 per employee. The credit reaches $5,600 per employee if the employer hires a veteran who has been unemployed for longer than six months. Wounded Warriors Tax Credit. The Wounded Warriors Tax Credit rewards employers that hire unemployed veterans with service connected disabilities. The credit reaches $9,600 per employee for employers that hire long-term unemployed veterans with service connected disabilities and $4,800 per employee for employers that hire short-term unemployed veterans with service-connected disabilities. The 3% Repeal Act also extends the current WOTC for qualified veterans who receive food stamps through the end of 2012. The credit for qualified veterans in this target group can reach $2,400 per employee. Additionally, the 3% Repeal Act makes the WOTC for qualified veterans available to tax-exempt employers and streamlines the certification process. The changes to the WOTC under the 3% Repeal Act are effective for veterans who begin work for an employer after November 21, 2011 (the date of enactment of the new law). The 3% Repeal Act, however, is temporary and its enhancements to the WOTC for veterans will expire after 2012 unless extended by Congress. The Taxpayer Relief Act of 1997 authorized the IRS to collect overdue tax debts of individuals and businesses that receive federal payments by levying up to 15 percent of each payment until the debt is paid. In 2004, Congress increased the percentage to 100 percent in case of certain payments due to vendors of services or goods sold or leased to the federal government. The 3% Repeal Act authorizes the IRS to continuously levy at 100 percent on payments for goods, services and property due to vendors of the federal government. This change is effective for levies issued after November 21, 2011 (the date of enactment of the new law). If you have any questions about the 3% Withholding Repeal Act, please contact our office at (908) 725-4414. The 2010 Tax Relief Act enacted a temporary payroll tax holiday. The employee-share of OASDI taxes is reduced from 6.2 percent to 4.2 percent for calendar year 2011 up to the Social Security wage base ($106,800 for 2011). 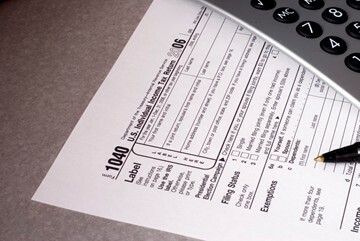 An individual with earnings at or above $106,800 in 2011 receives a $2,136 tax benefit. Self-employed individuals receive a comparable tax benefit. Under current law, the payroll tax holiday ends after December 31, 2011 and the employee-share of OASDI taxes is scheduled to revert to 6.2 percent. Switching investments. An exchange of mutual funds within the same family is still taxable — a sale of one fund and a purchase of another. However, investments held in a tax-free account, such as a 401(k) plans or an IRA, can be switched tax-free, unless the owner takes a distribution. The federal debt limit negotiations that preoccupied Washington for most of July did not result in immediate tax legislation. However, the general debate did succeed in helping to jumpstart a serious discussion over taxes that now has the momentum to continue. Tax increases, rate hikes, rate reductions and general tax reform are now all on the table. Whether tax legislation will be recommended and passed at year-end 2011 as the result of an immediate directive to start trimming the deficit is but one possible outcome of the debt-limit debates. Another increasingly persuasive catalyst for tax legislation will result from the many Congressional hearings on tax reform now being held on Capitol Hill. Those hearings are using as springboards initial proposals that have been introduced recently by the White House Deficit Commission Report, the Republican Study Committee, and the so-called Gang of Six, a bi-partisan group of Senators suggesting ways to cut trillions from the deficit over the next 10 years. Finally, the need for Congress to act on the Bush-era tax cuts set to expire after December 31, 2012, will all but force Congress to deal with tax reform in an era in which careful budgeting is essential to economic growth. At the center of President Obama’s plan to trim the deficit is an extension of the Bush-era tax cuts for lower and middle income taxpayers after 2012, but not for some higher income taxpayers now in the top two rate brackets. Under the president’s plan, taxes would increase for higher income individuals (which the White House defines as individuals with incomes above $200,000 and families with incomes above $250,000). The White House has also called for the elimination of certain oil and gas tax preferences, a permanent research tax credit and an extension of the 2011 payroll tax cut. In early 2011, six members of the Senate (the Gang of Six) began negotiations on a comprehensive deficit reduction plan. On July 19, 2011, the senators released a bipartisan blueprint to reduce the budget deficit by $3.7 trillion over 10 years through a combination of spending cuts and revenue raisers. Individual tax rates. The Gang of Six would replace the current individual marginal income tax rate schedule with three new tax brackets, ranging from: 8-12 percent; 14-22 percent; and 23-29 percent. The alternative minimum tax (AMT) would be repealed as well. Tax expenditures. In return for lower tax rates and no AMT, the Gang of Six would reduce a yet unspecified number of “tax expenditures,” aka deductions and credits. Possible tax expenditures up for reform, but not repeal, could include the home mortgage interest deduction, the deduction for charitable contributions and the deduction for certain medical expenses. Corporate tax. The Gang of Six would establish a single, lower corporate tax rate of somewhere between 23 percent and 29 percent while promising to raise as much revenue as under the current corporate tax system by eliminating many yet-to-be specified business deductions, credits and other preferences. The Gang of Six would also move to a territorial tax system under which profits would be taxed only by the country where the income is earned. The Republican Study Committee (RSC) is made up of 175 conservative members of the House. The RSC drafted the deficit reduction proposal which passed the House on July 19, 2011 as the Cut, Cap and Balance Act. The Cut, Cap and Balance Act, ultimately rejected by the Senate, did not include any tax increases. Tax reform. The RSC has called for a “smarter” Tax Code that would lower rates while broadening the tax base. The RSC to date has not offered any further specifics on how it would lower rates and broaden the tax base. The RSC has previously indicated its opposition to any scaling back of the Bush-era tax cuts. The bipartisan National Commission on Fiscal Responsibility and Reform issued its final report, “The Moment of Truth,” in December 2010. The Commission developed a six-part plan designed to reduce the federal deficit by almost $4 trillion by 2020. The 18-member commission approved the report by a vote of 11-7, with Democrats and Republicans on both sides of the vote. Tax reform. Tax reform as envisioned by the Deficit Commission would achieve at least 20 percent of the $4 trillion reduction. The Deficit Commission plan aims to reduce, if not eliminate, $1.1 trillion in tax expenditures in the current Tax Code for individuals and businesses. Under current law, the largest tax expenditure is the tax-free treatment of contributions to health care plans at approximately $144 billion per year. $49 billion by tightening the availability of the earned income credit. At the same time, the plan would reduce tax rates, the amount depending on the amount of tax expenditures eliminated. Individual income tax rates. Under one scenario, the Deficit Commission’s plan would provide three ordinary income tax rates as low as 8, 14, and 23 percent. The plan would treat capital gains and dividends as ordinary income, but, of course, ordinary income rates would be lower. The plan would eliminate the alternative minimum tax (AMT). Raising the federal gasoline tax by 15 cents per gallon. Corporate tax. The Deficit Commission plan would provide a single corporate tax rate of 26 percent, compared to the current maximum rate of 35 percent. Additional business-related reforms include eliminating the Code Sec. 199 domestic manufacturing deduction, the LIFO (last-in, first-out) method of accounting, and oil and gas production incentives. In tandem with deficit reduction proposals, the tax writing committees in Congress are exploring possible reforms to the Tax Code. The Senate Finance Committee, controlled by Democrats, and the House Ways and Means Committee, controlled by Republicans, have looked at a variety of issues related to individual and business taxation. The Senate Finance Committee (SFC), under the leadership of Sen. Max Baucus, D-Mont., has held a series of hearings in recent months on tax reform. The SFC has examined, among other issues, oil and gas tax preferences, the tax treatment of business and household debt, strategies to increase the voluntary compliance rate to 90 percent, and efforts to close the tax gap. The House Ways and Means Committee has also held a series of hearings on tax reform in recent months. The Ways and Means Committee has examined, among other issues, the advantages and disadvantages of a value added tax (VAT), tax incentives to encourage foreign investment in the U.S., and the corporate tax rate. Please contact this office if you have any questions over how momentum toward deficit reduction and tax reform may impact your bottom line tax liability in the future. The trend in recent increases in numbers of federal individual income tax returns reporting incomes of $200,000 or more has reportedly hit a speed bump, according the a recently released IRS survey. The IRS’s Spring 2011 Statistics of Income (SOI) Bulletin reports a 3.5 percent drop in the number of individual returns reflecting adjusted gross income of $200,000 or more for tax year 2008, when the economic downturn officially started and the year for which the most recent full-year statistics are available. This trend comes after several years of increases in the number of returns filed by higher income individuals. The IRS received 4.3 million returns from taxpayers reporting adjusted gross income (AGI) of $200,000 or more for tax year 2008. In contrast, the IRS received more than 4.5 million returns from taxpayers reporting AGI of $200,000 or more for tax year 2007. Only a small percentage (0.4 percent) of higher-income individuals reported no U.S. income tax liability (of these returns, 0.2 percent reported no worldwide income tax liability). Another relatively small group of higher-income individuals (0.9 percent) was able to offset a substantial fraction of income before being subject to taxation. Overall, most higher-income individuals were subject to tax on their income. Among individuals whose returns reflected incomes of $200,000 or more for tax year 2008, the largest source of income was salaries and wages at $1.2 trillion. More than 3.8 million returns from higher-income taxpayers reported income from salaries and wages. Other significant sources of income included partnership and S corp income ($446 billion reported by 1.3 million taxpayers), income from sales of capital assets ($417 billion reported by 1.3 million taxpayers); dividends ($125 billion, reported by 3.2 million taxpayers); and royalties ($17 billion reported by over 300,000 taxpayers). The most common deduction for returns reflecting incomes of $200,000 or more was the deduction for taxes paid. More than 4.1 million returns from higher income taxpayers reported deductions for taxes paid. The deduction for interest paid was the second-most common deduction among higher income taxpayers with more than 3.5 million returns reporting deductions for interest paid (of which 3.3 million returns reflected home mortgage interest). Over 3.9 million returns from higher income taxpayers reflected deductions for charitable contributions. Among the various tax credits, the credit for foreign taxes paid was the most common among returns filed by higher income taxpayers. More than 1.5 million returns reflected the foreign tax credit. Just over 300,000 returns reported the child tax credit. The IRS’s latest Statistics of Income Bulletin (Winter 2011), just released in April, reveals a significant drop in taxable income, reflecting the economic slowdown. The IRS also reported a drop in alternative minimum tax (AMT) revenue. Income. The IRS reported that adjusted gross income (AGI) fell 6.3 percent from tax year 2008 to tax year 2009. Taxable income decreased 9.3 percent, total income tax fell 15.4 percent and total tax liability decreased 15 percent. The largest component of AGI, salaries and wages, declined 3.7 percent from tax year 2008 to tax year 2009. The second largest component of AGI, taxable pension and annuities, increased 3.1 percent from tax year 2008 to tax year 2009. Statistics for the 2010 tax year will not be available until the IRS gathers and then releases the data from returns just filed for the April 18, 2011 filing deadline. AMT. For the first time since 2001, revenue collected from the AMT decreased. The IRS reported that AMT revenue fell 9.1 percent to $20.2 billion for tax year 2009. Credits. Among all tax credits, the IRS reported that residential energy credits experienced the greatest percentage increase. The $1,500 tax credit for home-efficient improvements, including installation of certified heating/air conditioning units, however, expired on December 31, 2010. A maximum $500 credit nevertheless remains available for 2011. Comment. Despite the drop in income due to the economy, the IRS audit rates did not also drop. Statistics for the IRS indicate that, while slightly fewer returns were filed and revenue collection dropped overall in FY 2010 (Sept 2009 through August 2010) as compared to the 2007-2009 period, audit rates remained fairly constant.